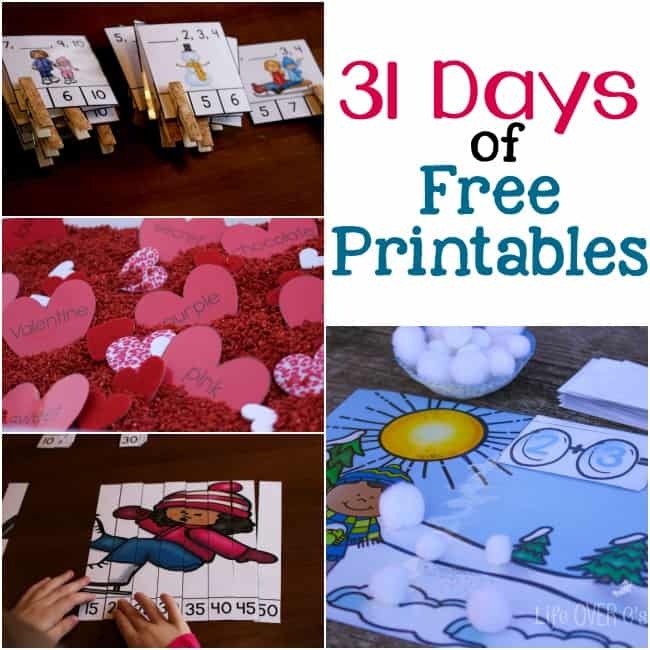 For Day 29 of the 31 Days of Free Printables I have an equivalent fractions & decimals free printable pack for you! This is a great way to reinforce common fractions and decimals and how they relate to each other. 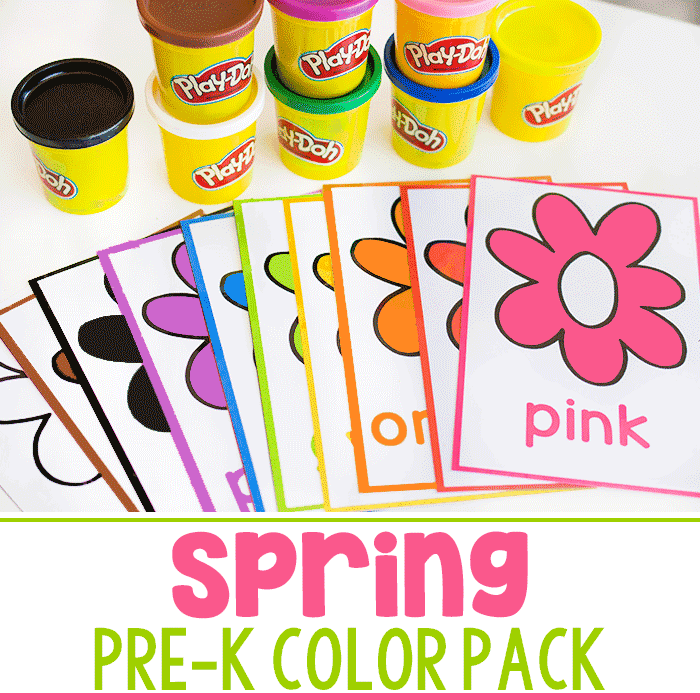 In true, print & go fashion, these activities can be prepared as fast as you can print them! 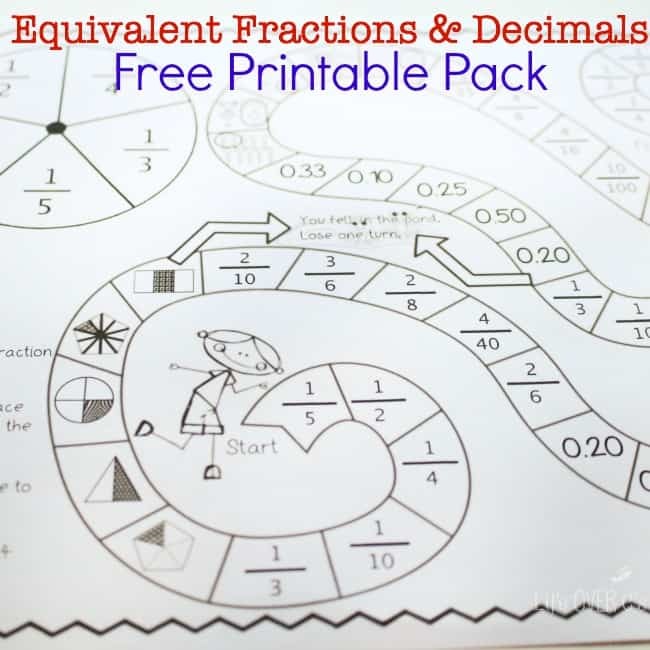 What’s included in the Equivalent Fraction & Decimals Free Printable Pack. 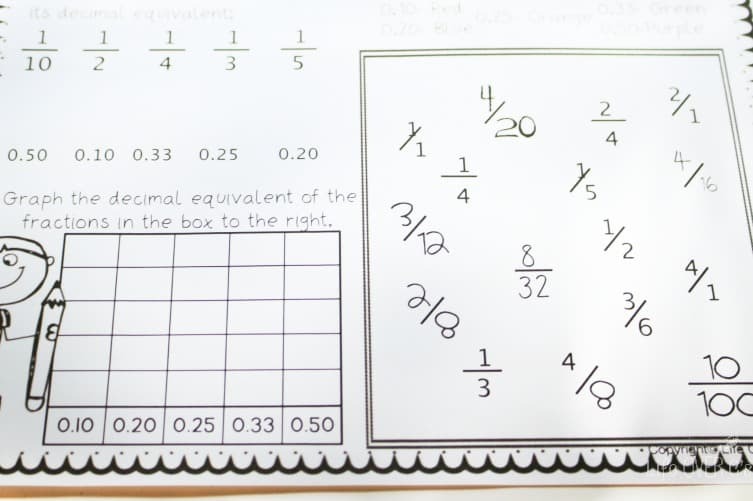 Pages 3-4: Flip-flap book and fraction/decimal equivalencies for an interactive notebook page. Assembly instructions: Cut around entire Fraction and Decimal Equivalents template. Then, cut the lines in between the fractions, but do NOT cut the entire way through the top of the template. Cut out the fraction and decimal representations on page 5. Glue them to the notebook page underneath the correct flap. Pages 5-6: Graphic organizer for fraction/decimal equivalencies with demonstration page. Instructions for use: You can choose to give each student the same fraction or to give each of them a different fraction for independent exploration. Students will draw a picture to represent the given fraction, simplify the fraction and draw a picture to represent the new fraction, create another equivalent fraction and divide to find the decimal equivalent. Pages 7-8: Worksheet for equivalent fraction/decimal review with answer key. This is a great tool to assess student understanding. Page 9: Partner or small group game similar to Candyland®. You can print copies for whole class use (possibly to take home and play for review) or print on card stock and/or laminate for center use. 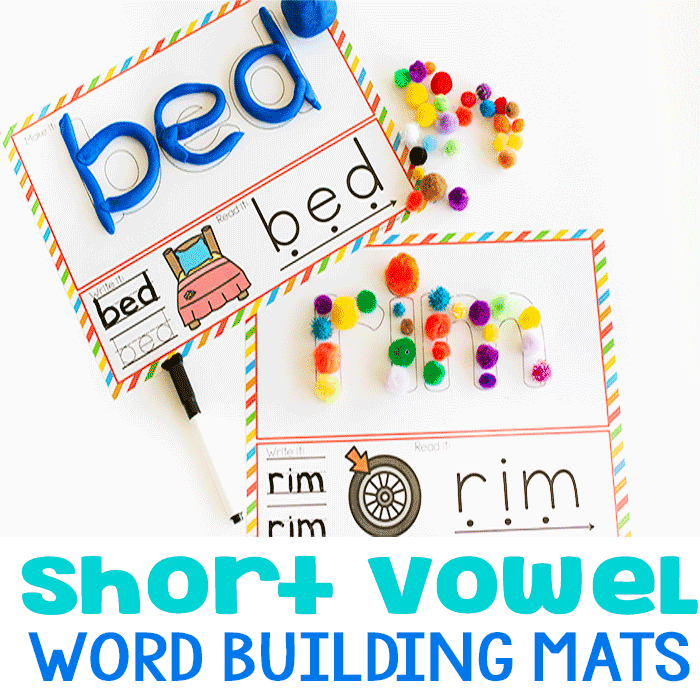 Thanks for sharing this set of printables. 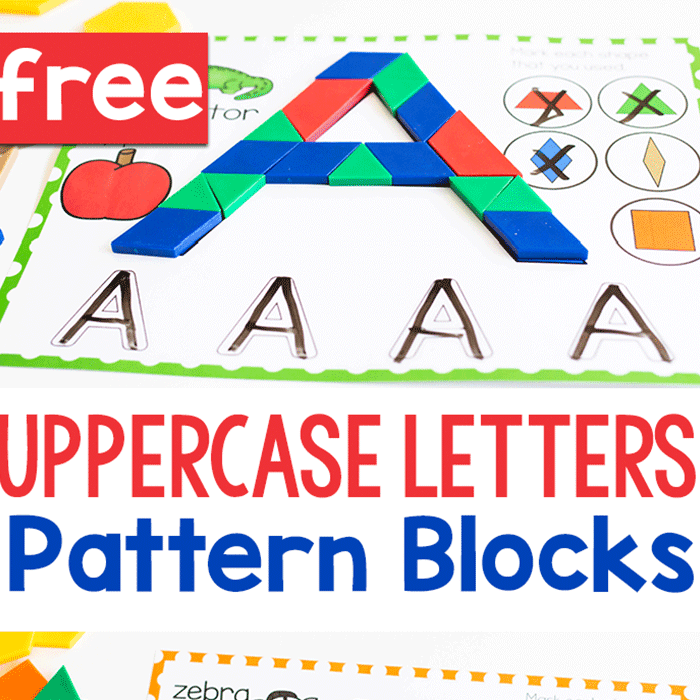 I find that kids respond so much better to this kind of activity than a boring worksheet. Thanks! I’m glad you can use it! I hope the kids enjoy it!